The Institutionalization of a business requires having transcendent goals that guide the activity of the organization. 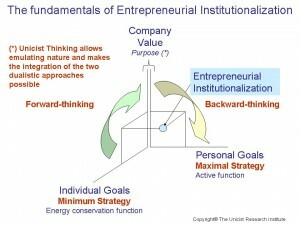 Entrepreneurial organizations have an approach to business that is centrally driven by the goals of the entrepreneurs. It has been demonstrated that institutionalization is the key to growth. 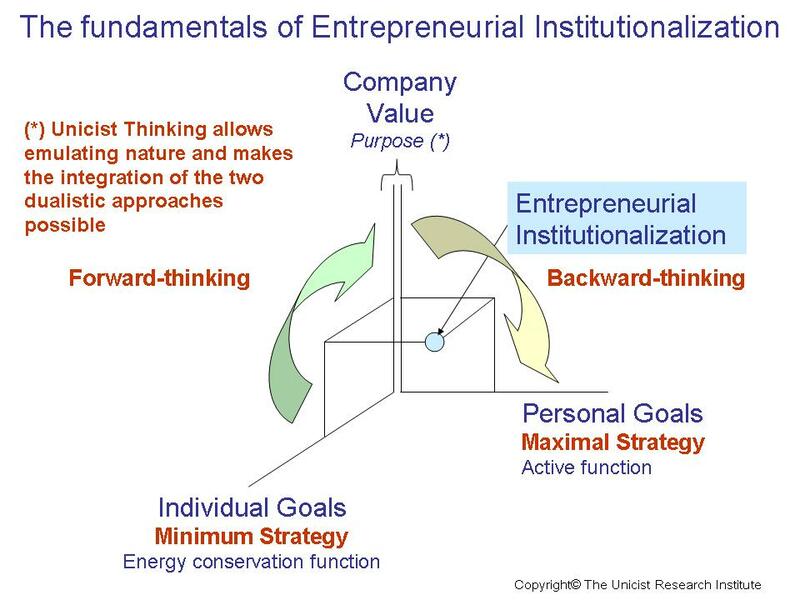 Therefore, institutionalization is a basic condition for the expansion of entrepreneurial businesses. The natural path towards the institutionalization of entrepreneurs is installing in the company the goal of building the monetary value of the company itself. This implies that the company needs to have a value that does not depend on the participation of the entrepreneur. Company-value is the first step for entrepreneurial institutionalization.